Create excitement with a one-of-a-kind ride that differentiates you from the competition and provides guests with a new experience every time they enter the water. From recreational family fun to high action and skill based ride components, each ADG Water Ride brings an experience to your park for guests to play, stay and spend the day away. 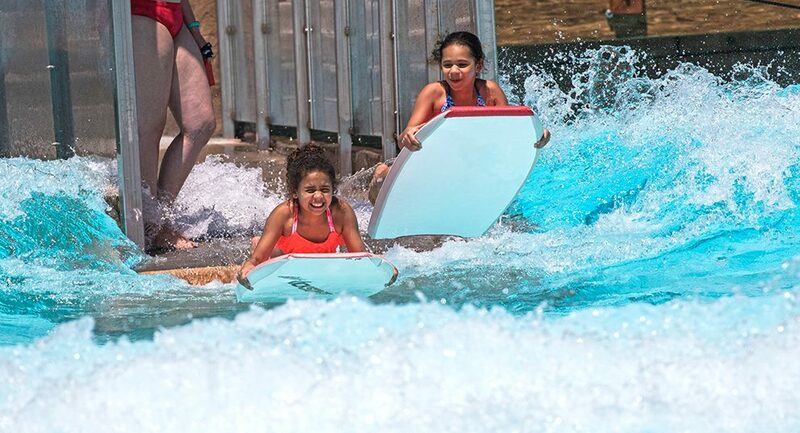 Top water parks all across the country are adding a new type of water ride to their mix of attractions that are getting their guests off the line and into the water. Is your property on board? CONTACT US to talk with one of our representatives about scheduling a private viewing tour of one of our water rides today. For more information, view our complete line of water ride attractions.